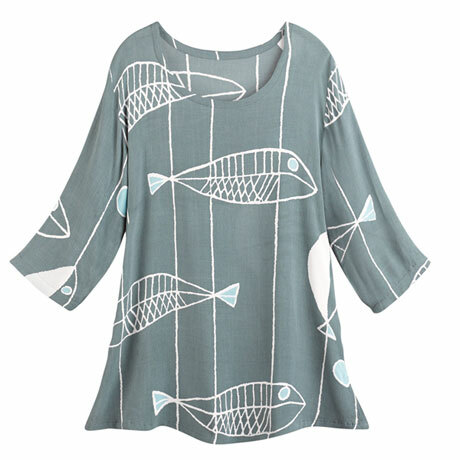 The cool drape of crinkle rayon, the allure of artsy fish. Eye-catching tunic is printed all over. 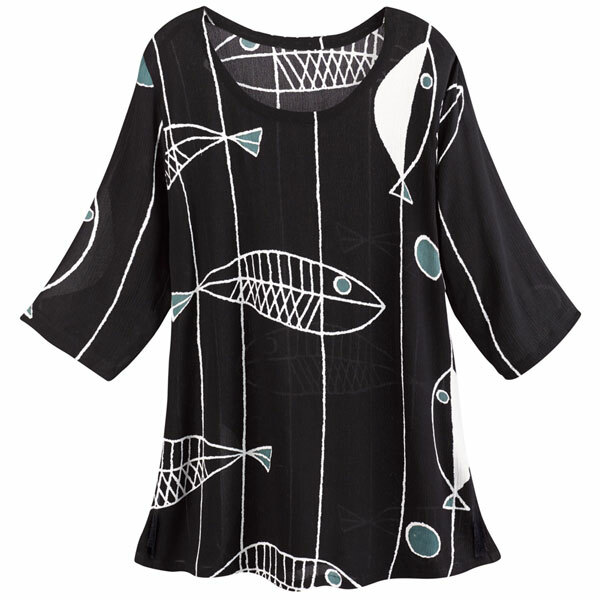 Scoop neck, ¾-length sleeves, slightly flared hem with 4" side vents. Easy, forgiving crinkle fabric. Sizes S(6-8), M(10-12), L(14), XL(16), 1X(18), 2X(20). Size M hangs 28". Machine wash. Imported. Specify Black or Gray.